For the second month in a row, the unemployment rate slightly rose to 4.0 percent. in January, the number of unemployed persons also edged up to a total of 6.5 million people. These numbers were slightly impacted by the 35-day partial government shutdown. 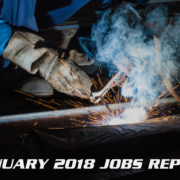 However, despite these downward trends, nonfarm payroll employment increased by a staggering 304,000 jobs in January, nearly doubling economists’ expectations. 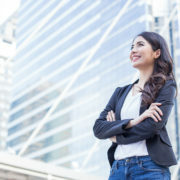 This unexpected boom in job creation is drastically greater than the monthly average of 223,000 job gains in 2018. 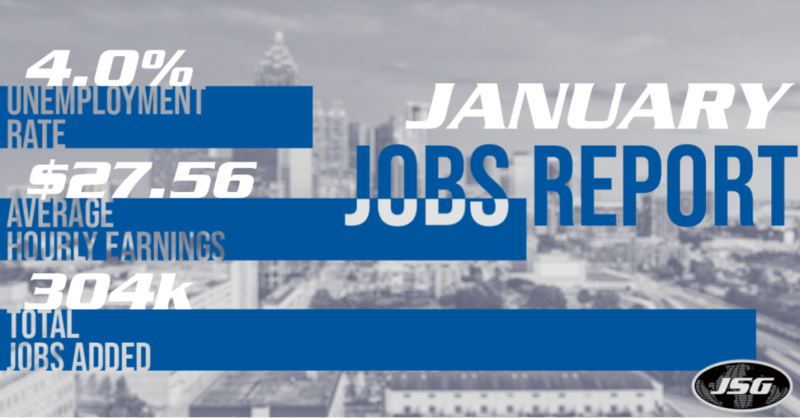 January 2019 marks a significant milestone: the 100th straight month of job gains. Moreover, December job gains were revised down from 312,000 jobs to 222,000. And in November, employment was revised up from 176,000 jobs to 196,000. 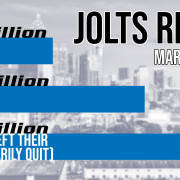 With the following revisions, job gains combined in November and December were 70,000 less than originally reported. Despite this adjustment, the average growth in jobs over the last three months is now 241,000 jobs. The number of long-term unemployed changed little over the month. Long-term unemployed persons were 1.3 million people and accounted for 19.3 percent of the total number of unemployed Americans. Additionally, the labor force participation rate was relatively unchanged at 63.2 percent, marking a five-year high. Average hourly earnings bumped up $0.03 in January for an average of $27.56 per hour. Over the year, average hourly earnings increased by 3.2 percent for a total of $0.85. In January, the Leisure and Hospitality industry led the way with an impressive 74,000 job gains. The majority of this increase is from gains in food services and drinking places. 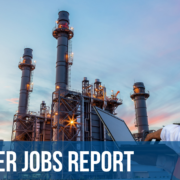 Moreover, the industry added a total of 410,000 jobs over the year. 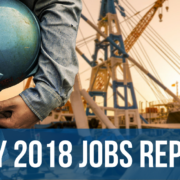 Additionally, employment rose in the Construction industry by 52,000 jobs. 24,000 of these jobs is thanks to an increase in specialty trade contractors. 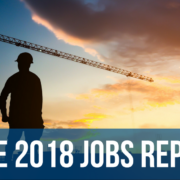 Construction has added 338,000 jobs over the past 12 months. Healthcare once again increased their production of job gains. 42,000 jobs were added in January, with 22,000 of which were from ambulatory health care services. Healthcare has added 368,000 jobs over the past year. Transportation and Warehousing rose by 27,000 jobs, illustrating little change from December. Although merchandising stores lost 12,000 jobs in January, retail trade has managed to gain 26,000 jobs over the year. 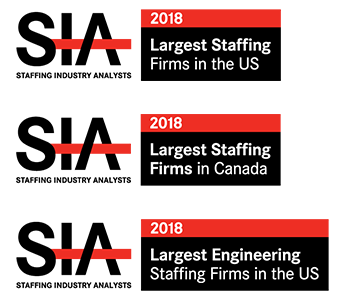 Professional Services added an impressive 30,000 jobs and Manufacturing continued to trend upwards with an increase of 13,000. 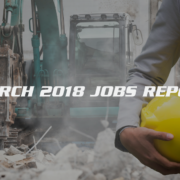 Mining also saw an increase of 7,000 jobs in January. 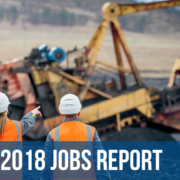 Over the year, Mining has added 64,000 jobs, almost all of which are from activities for mining. Wholesale Trade, Information, and Financial Activities saw little change over the month of January.